Afterwards, salvage the turkey leftovers and help your digestive system recover by making a pot of congee (rice porridge). Congee is common throughout Asia. It is easily assimilated, and therefore nourishes without taxing the digestive system. 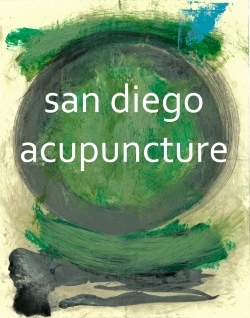 It is prescribed in Chinese medicine to replenish the spleen-stomach system in order to tonify qi and blood. The more bland the congee, the better it is at strengthening spleen-stomach. For rich, strong or complex flavors can be too demanding for a weakened digestive system. The most basic (bland) porridge is just water and rice, in a ratio of about 6:1, simmered for 45 minutes to a few hours. But that’s too bland for my taste, and besides, we all have a lot of turkey to finish. 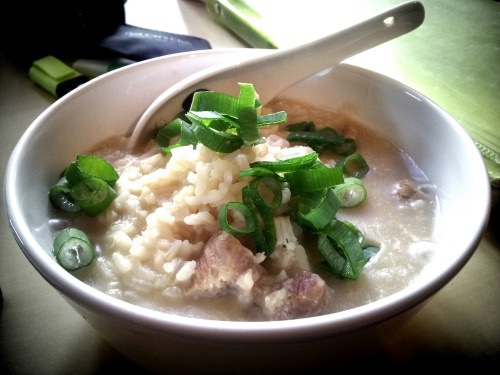 I pulled the following Turkey Congee recipe from Steamy Kitchen (ref. http://bit.ly/1OpigeS). It deviates from my normal prep, but I like her idea of adding dried scallops and dried shrimp for an umami taste. Soak dried scallops and shrimp in 1 cup of hot water for 10 minutes. With your hands, separate the bones into large pieces (no smaller than 3″). In a large stockpot, heat cooking oil over medium-low heat. When hot, add carrots and celery and cook for 3-5 minutes until soft. Add turkey bones and water to pot. With your fingers, shred the scallops into small pieces. Add scallops, shrimp and the soaking water to broth. Turn heat to high and let boil. Immediately turn heat to low and add raw rice. Simmer uncovered or partially covered for 45 minutes, up to 2 hours until rice has thickened into congee. Do not stir while it is cooking. Just leave it alone so that the rice can thicken undisturbed. Stir in cooked turkey meat. Taste, add fish sauce or soy sauce to taste. Start with 1 tablespoon first and add in 1/2 tsp at a time until you reach perfect seasoning. Note that, while the recipe does not include scallions, the picture shown here does. My congee typically has them as well.